Screen-Free Week 2017 Makes a Real Difference! By all accounts Screen-Free Week 2017 was bigger and better for more children and families than ever! 40 Seventh Graders at Bedford Central Schools in NY who found Screen-Free Week to be easier – and more fun — than they thought! 120 Students who met Mr. Purdy’s Screen-Free Week challenge at Mounds Park Academy, Saint Paul, MN. He dyed his hair pink when they did! 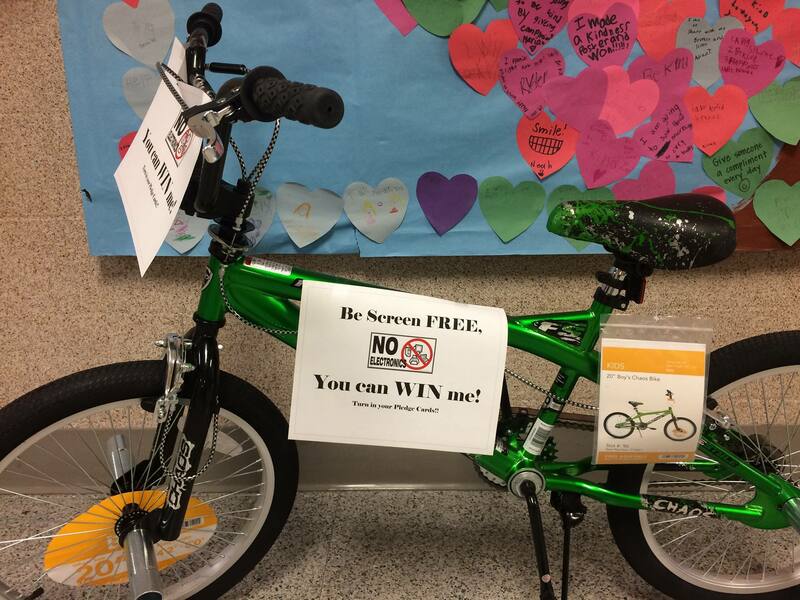 Van Dyke Elementary School kids who pledged to go Screen-Free May 1 – 7 were entered into drawings for a whole bunch of prizes. One was this bright green bicycle! “Even though Screen-Free Week is over, my 7-year-old hasn’t asked to watch any TV after school. Instead we finished a puzzle. Her favorite thing about Screen-Free Week? “Spending more time with my family!” We practiced piano, played games, and played records. She also played outside by herself. We will definitely be limiting screen time going forward. 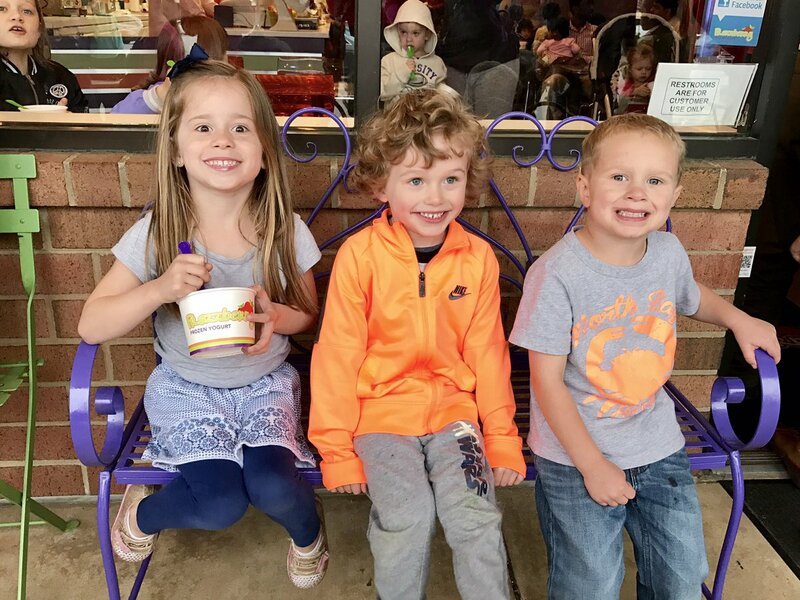 This was our 3rd year participating!” — Kristi R.
Linden Hill PTA in Wilmington, DE celebrating with ice cream! “We started early this year, stopping shows and movies for the whole family about a month ago. Our 4-year-old daughter stopped asking to watch anything at around day 4. Before we stopped screen time we were always trying to balance indoor time with outdoor time. But when we stopped watching shows, we’ve found our weekends to be so full with trips to the forest, long bike rides to parks, lots and lots of gardening in the backyard. 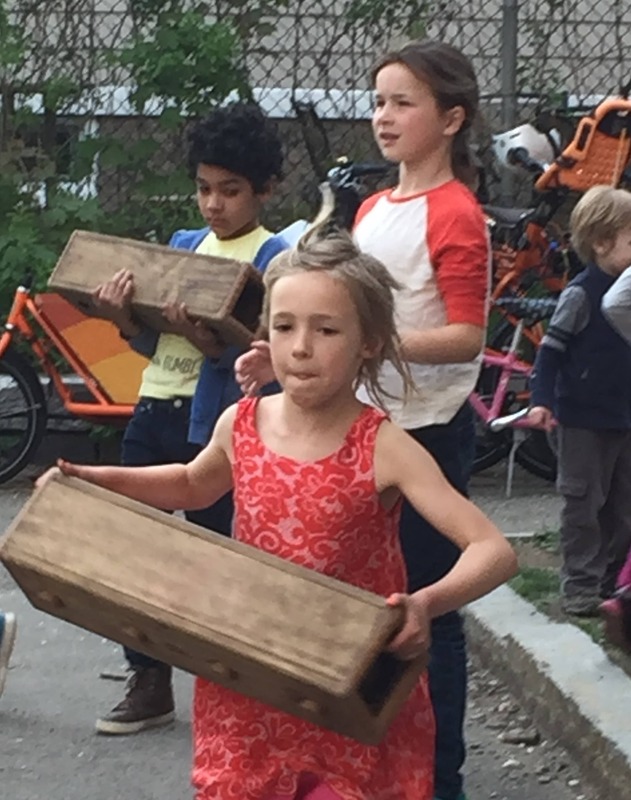 We have no plans to change this dynamic now.” — Andrea C.
We played a lot of games, spent loads of time outdoors and everyone finished a book from start to end! — Jillian P.
My daughter and I had a great experience. We noticed how much more we got done. Screen-Free Week reminded us how much we enjoy doing other things together. And we are definitely watching less TV now! — Meredith K.
Everyone has their favorite Screen-Free Activities. We bet you can think of several right now. Here at CCFC, we did crafts played board games and enjoyed lunch together. Here are some of the fun activities all of you reported doing May 1 – 7! Book reading! Karaoke. Neighborhood dinners. Family yoga. Hiking. Arts and Crafts. Scavenger Hunts. Board games. Fort-building. Kite Flying. Listening to music. Playing musical instruments. Mission Hill School, Boston, MA building and bubbles! Screen-Proof your home. Keep meals screen-free, and be sure to carve out screen-free time every day. 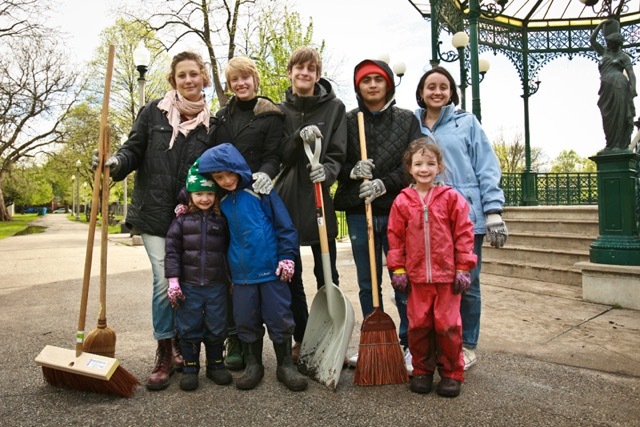 Consider designating one day per week as Family Screen-Free Day. Mark Your Calendar! Screen-Free Week 2018 is April 30 – May 4! What We Gain From Going Outside: Celebrating Screen-Free Week 2019! Success with Screen-FREE Week Frederick! Check out our NEW tips for schools: How to Design a Super Successful Screen-Free Week! Take a look at our new collection of tips for Screen-Free Week in schools! Celebrate two great weeks in one! In 2018, Children’s Book Week is the same week as Screen Free Week! Here’s how to host both events together—and get in some great reading while you unplug. And check out our new resource: fun books for kids about reducing screen time! Get inspiration and ideas for Screen-Free Week celebrations, and submit your own! CCFC and the American Academy of Pediatrics want you to know that taking a break from entertainment screen media can help you launch healthy media habits for the rest of the year! Learn more here. Changing children’s screen habits can be a challenge for both kids and parents. That’s why we created “7 Parent-Tested Tips to Unplug and Play,” strategies for getting young kids to spend less time with screens from real parents who have done it and noticed a world of difference. Want the children in your life to spend more time playing and less time with screens? CCFC’s great new handout is for you. Clear, concise, and evidence-based, our Healthy Kids in a Digital World brochure is packed with tips, facts, and screen-free activities—and it’s free!